Looking for a comedic ecard to send your friends who are celebrating an anniversary? Well let me say look no more! Our funny and sly Lounge Lizard is one of our beloved characters and I have to admit... he is a little bit off the beaten path lol!! 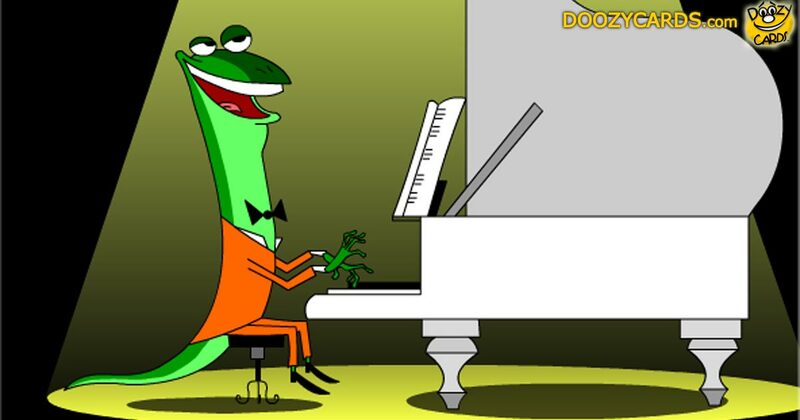 Quite the pianist and singer, I am concerned at times that when his eyes cross they will stay that way! 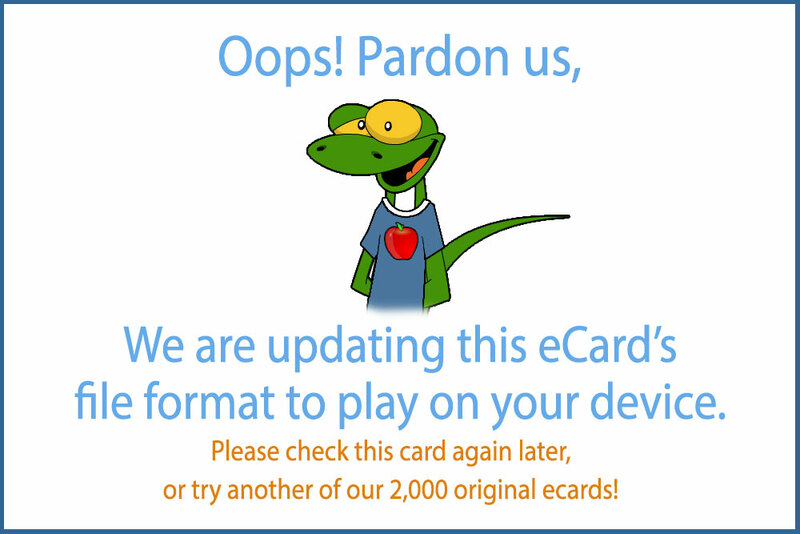 All in all, our Lounge Lizard will be sure to make the recipient of this anniversary ecard laugh out loud. And beware if a fly goes by him, he will for sure catch it and eat it no matter what he is playing. A snack-to-go don't you think?